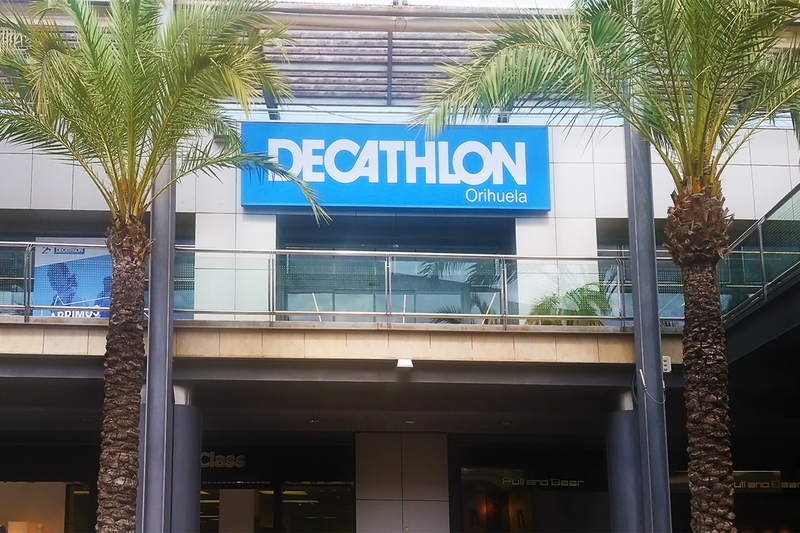 Last 1 June was the grand opening of the Decathlon Orihuela, in the Ociopia shopping centre in the province of Alicante. This new shop spreads over 1.956m2 from which 1.730 are exclusively dedicated to customers. Inauguration was attended by the city mayor, Emilio Bascuñana and several authorities from the French brand. 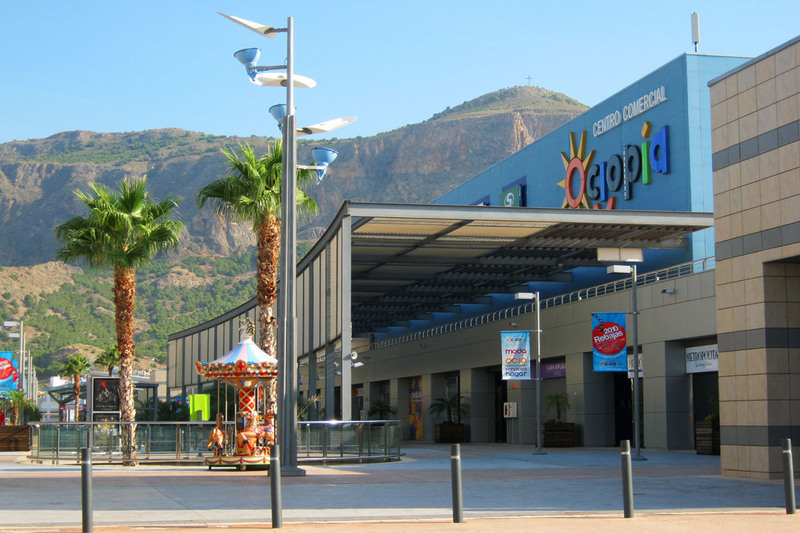 This new store is the last addition to the list of stores by the sport goods multinational company in the Valence community, alongside other 16 stores (Valencia, Alicante, Alfafar, Gandía, Orihuela Playa…). However, this shop stands out as being the first one offering 100% products from the Decathlon group (Btwin, Kalendji, Domyos, Kipsta…). 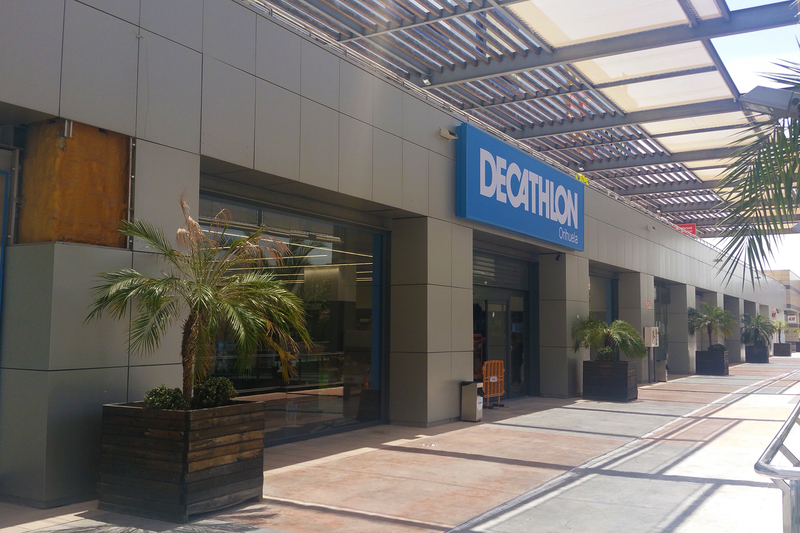 GMD Solutions was appointed as the engineering company for this project in order to adapt the existing building to Decathlon’s requirements. Our team developed the different projects including electricity (low voltage), intrusión and CCTV as well as architecture (in collaboration with our long-time partner Arellano Arquitectos). In addition, we were in charge of dealing with the licenses proceeding and legalization. The store was provided with the most efficient systems. The lighting system is made of last generation LED manufactured by Trilux. They are linear luminaires mounted on electric rails. 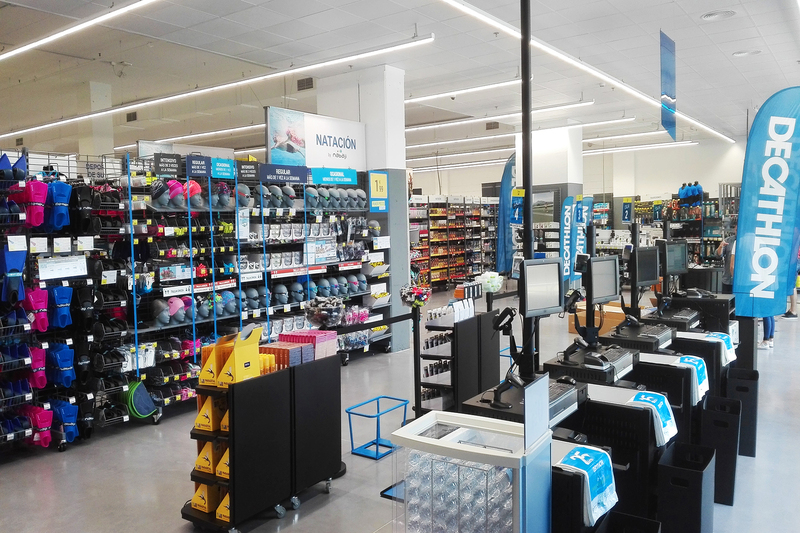 The difference between the last Decathlon stores equipped with LED technology is that there is no separation between the luminaires along each rail, therefore allowing a much more uniform lighting of the selling area. The 130kW HVAC system, manufactured by CIAT, is one of the most efficient in the market to get the optimum temperature inside the premises without wasting energy. The store is also equipped with all the required elements for fire protection: hydrants, extinguishers and optical smoke detectors. Emergency routes are indicated by large back-lighting exit signs, one of the latest improvements implemented in Decathlon stores nationwide to improve customers’ exiting in case of emergency. The premises also counts with detectors and CCTV cameras for protection against robbery. 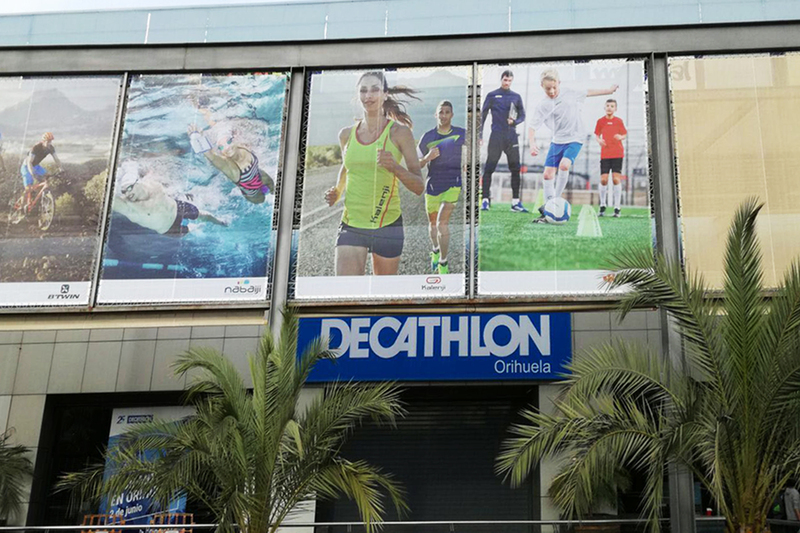 Adaptation works lasted only one month in order to allow Decathlon to open the store to customers on June 2nd. This project could not have been successfully executed within so little time without the dazzling work from each executive company: Somains (electricity), Vera y Baño (architecture), Grupo Normex (fire protection) y Chubb Parsi (protection against robbery and CCTV). GMD Solutions has a broad experience in engineering and architectural projects for retail industry. This is the 5th Decathlon store we execute, Ciudad Real, Ávila, Santiago de Compostela (increase footage) and Valdepeñas being the other ones. We are also currently working for the soon opening of Miranda de Ebro, Berango, Salamanca and Villanueva de la Serena stores. Moreover, GMD Solutions developed projects for HugoBoss in Marbella and Madrid and Worten in Ciudad Real.